Morten E. Solberg is acknowledged as a Master Artist. He paints in oil, acrylic and watercolor and his techniques range from photo-realism to total abstraction. Years of pursuing his craft via design studios and commercial art. Before moving West in 1968, Mort worked for the American Greetings Corp.as a Art director for 9 years in Cleveland ,Ohio. He shed his commercial ties and concentrated on fine art and has been painting full time since 1971. 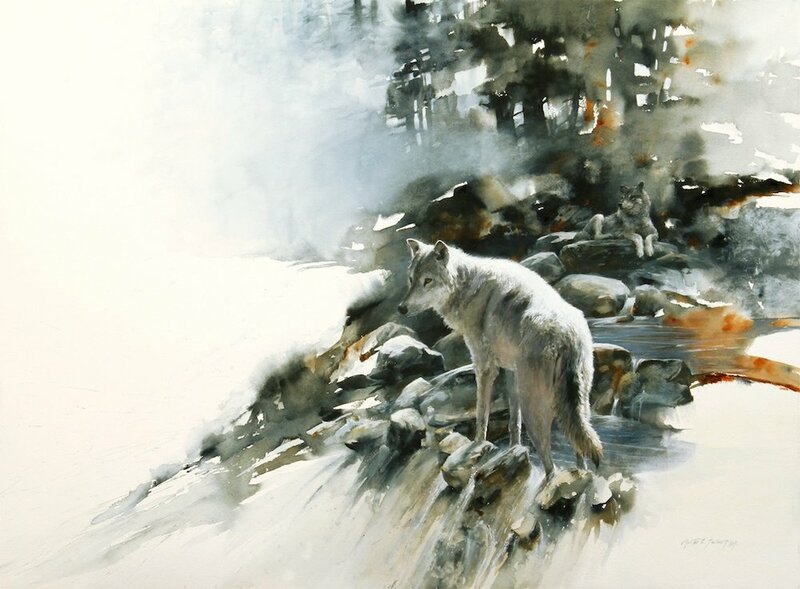 After moving to Southern California’s Orange County in 1968, He Joined the Buzza Cardoza Greeting Card Co. After 3 years he went on his own as a full time painter.He firmly established himself in the art world with memberships in the American Watercolor Society, the National Watercolor Society, the Society of Animal Artists, Wildlife Artists of the World, Knickerbocker Artists and the Society of Master Impressionists, as a lifetime Master member. Awards and inclusions in prestigious collections followed. His paintings have graced the covers of numerous magazines, and he has been featured in American Artist, The Art Of Watercolor,France, Decor, Norway & Wildlife Art News, Art West, Watercolor, Sports Afield, Sporting Classic, Wildlife Art Journal, Southwest Art and Orange County Illustrated. In 1986, American Artist chose Mort as their “Artist of the Year”. His accomplishments have earned him listings in Who’s Who International Biographies, Who’s Who in America, Who’s Who in American Art, and Who’s Who in the West. In 1993, Mort was elected to U. S. Art Magazines “Artist Hall of Fame”. In 2001 Wildlife Art Magazine established Mort as a “Master Artist. Mort’s work has been published as limited edition prints since 1977. Mort’s interests are many and varied and they are often reflected in his art. American Indian history and culture hold a special allure for Mort, perhaps because his great grandmother was Native American. Norwegian whalers & explorers are among his ancestors. Wildlife, romantic women with parasols, flowers, fisherman, cowboys, sporting and nature have provided him with endless colors and shapes with which to design. 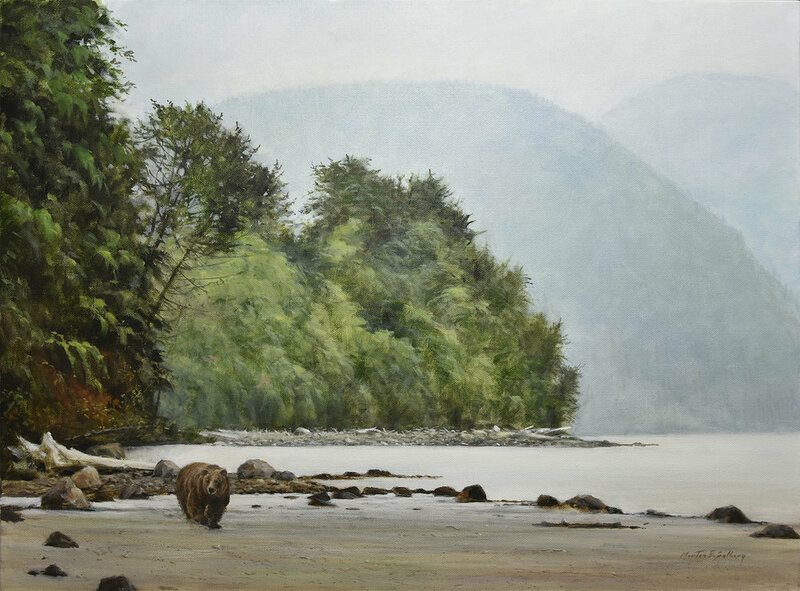 Mort’s work has taken top awards in many of the exhibitions he has entered, including the American Watercolor Society, the National Watercolor, the Society of Animal Artists and the Arts For The Parks Grand Prize of a Gold Medal and $25,000. His work is represented in many collections including the Smithsonian Institution, National Gallery of Art, National Academy of Design, The Leigh Yawkey Woodson Museum Of Art, The Dunnegan Museum Of Art, The National World Museum Of Environmental Art, American Artist Magazine, Wildlife Art Magazine, National Parks Academy For The Arts, The Wildlife Experience and many private and public collections. The Society Of Animal Artists Established Mort as a “Signature Master Artist” after taking 6 Medals of Excellence . He has taken the Bob Kuhn Award in the Western Visions Invitational Exhibition at the National Wildlife Museum In Jackson Hole, WY. Check out Mort's complete Bio in "About" at the top of the page.